[TV Line] The producers of a popular series are looking to take a page from Annalise Keating’s k*ller curriculum. Rumor has it that an hour-long drama series on one of the Big 5 broadcast networks is poised to k*ll off one of its most popular characters (an original series regular), while tacking on a time-tripping twist straight out of How to Get Away With M*rder. According to sources, if the storyline is approved by The Powers That Be at the network, the character in question would be m*rdered in the show’s forthcoming season premiere, at which point the action would jump back two months. Subsequent episodes would continue to chronicle the eight weeks leading up to [Character]’s de*th all while dropping clues about the party — or parties? — potentially responsible for the shocking crime. BG Note: Annalise Keating is the fictional character played by Viola Davis on How To Get Away With M*rder. [Optional] Which actor would make a good President of The United States in real life? Please keep your comments civil. I think so, too. This past season was like HTGAWM, so I can see Olivia Pope being killed off. Gonna be a Shonda show for sure. It’s Scandal’s last season, so I’m thinking Olivia Pope. It’s actually about the only thing that could make the final season interesting and maybe worth watching. It’s unwatchable currently. Virtually any character on the show is capable of and could have a reason to murder Olivia. I like the idea and can’t stand the character so knowing she was going to die at the end would be intriguing. I haven’t watched the show but I’m gonna go with Supergirl and Chyler Leigh. Abby. Shonda is applying the HTGAWM hacks to Scandal since viewership is down. Abby has become redundant since she lost her job as Chief of Staff. TV Show Scandal – President Fitzgerald Grant. Good Pres: Sally Field or Sigourney Weaver. GAHHH! This sounds like something Scandal would do. I hope they don’t kill Fitz! Mark Ruffalo would make a good president of the United States. By the clues and “similar too” it’s obvious that it’s a Shondra Rhimes show and since there is only one that is listed it has to be Scandal. I have no idea why I say this. I stopped watching once Ziva left so I have no clue who’s even on the show anymore it’s just the feeling I got reading the blind. I’m a big fan of NCIS, so my choice is clear. My guesses for who’ll be the victim are Mr. Gibbs, Ducky or Abby. I only watch NCIS and Designated Survivor from this list. I am guessing but hoping I am not Correct. I’m going Scandal. Fitz gets killed. It’s the last season and he’s kind of useless now. American flag in pic. Big 5 could be a clue to B52. Party or parties responsible = politics? Not sure who, but someone on Scandal. Clue being ‘party’ since the show is set in Washington with political parties. Considering Mark Harmon is very ill IRL Let’s go with NCIS. Mmmm, I’m thinking President Fitz (Tony Goldyn) from “Scandal.” The reason I say this is because both “Scandal” and “How to Get Away with Murder” are run by Shonda Rhimes, and the blind specifically asks us who would we want to be president. How to Get Away with Murder is not run by Shonda. She has never written for the show as you can check the credits. Pete Nowalk is the creator of the show. @whateverwillbe14 Shonda is the executive producer of HTGAWM, and the founder and owner of Shondaland – its production company. I would say she runs it, even if she was never the writer. Scandal killing off President Grant. Clue is parties, would get lots of press as controversial, and would be a Hollywood wetdr****. 3. Scandal… Shonda is known for shaking things up so murdering Olivia or Fitz would really shake it up. Blindspot. I had a feeling on of the major characters was axed while watching the series finale. My money is on the tech girl, Patterson. Get rid of Olivia. The woman can’t act.. she alternates between bugging her eyes and weirdly gaping her mouth open while wearing a worried expression. I hope is the annoying Olivia Pope. Watching Kerry Washington do that weird sneer as if her nose smelled a bad odor, gets on my nerves. Ducky on NCIS. David McCallum has been with the show since the back-door pilot on JAG (the only one left besides Mark Harmon). He is getting on in years, and I read that 15 is supposed to be his last. This will be a great way to ween the audience a bit while still giving him a dramatic send-off. Well…I would have guessed Fear the Walking Dead…but the main character died, before the opening credits even started rolling. 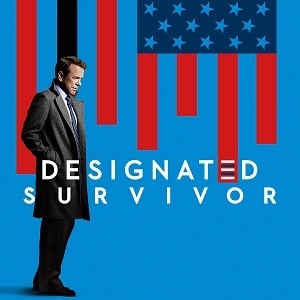 Can’t be Designated Survivor because it’s too early in the series. Since Scandal is in its final season and really needs something to get people to talk about in the premiere, I am going with Olivia or Fitz dying. Mellie is the President but she was originally a recurring character, Jake came in on later seasons and Huck/Quinn/Abby would not make that much of an impact to the audience. However, killing the main character of the show (Olivia) or one of her love interests (Fitz) could carry the story for the span of 2 months. Agree with this. If Shonda goes with killing one of the original cast members, it has to be Olivia or Fitz – those are the only ones that would really make a big splash.